A one ton air conditioner typically cools a 400 square foot room (20 feet by 20 feet) with 10 foot ceilings. One ton equals 12,000 BTU. Used Movincool Classic Plus 14 for sale. 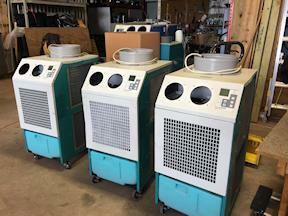 Portable Air Conditioner is a good working used condition Portable AC unit. Full tested and works well. It’s a used unit so there are noticeable scratches on it. Local pick up only. All units are great and had been selling well, a few more left. The MovinCool Classic Plus 14 has features designed to increase performance and control. 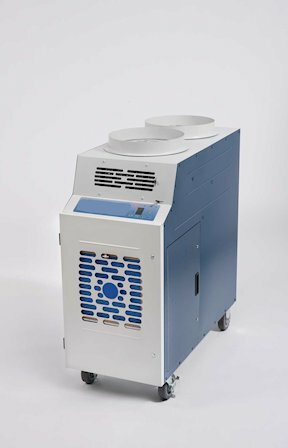 The versatile Classic Plus is instantly ready to provide cool air in the hottest environments such as production lines, outdoor events, manufacturing processes, injection molding, metal forming and much more. 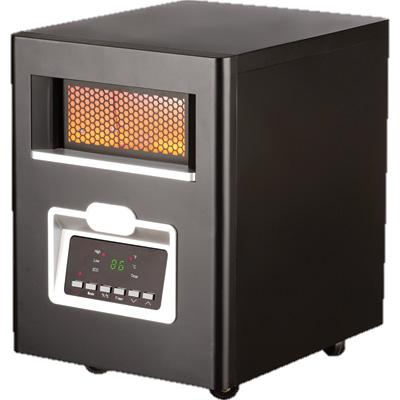 The Classic Plus features a digital temperature controller allowing the user to “set” the desired temperature. At 13,200 Btu/hr of cooling, The Classic Plus 14 provides the maximum capacity possible operating on standard 115V power. By cooling only the area that needs it, the Classic Plus 14 saves you money while protecting people and equipment and speeding up processes. Self-contained and portable, the Classic Plus 14 requires little or no installation – simply roll it in, plug it in and turn it on. Digital temperature control . . . “set” the desired temperature and walk away. Handles temperatures from 70-113°F. . .provides cooling in the hottest environments. One 1 Ton portable air conditioner for sale. In excellent condition. This can be used in either single or dual duct applications. Call and let us explain the difference. Call 1st Cooling at 817-491-0555 and we will answer any questions. 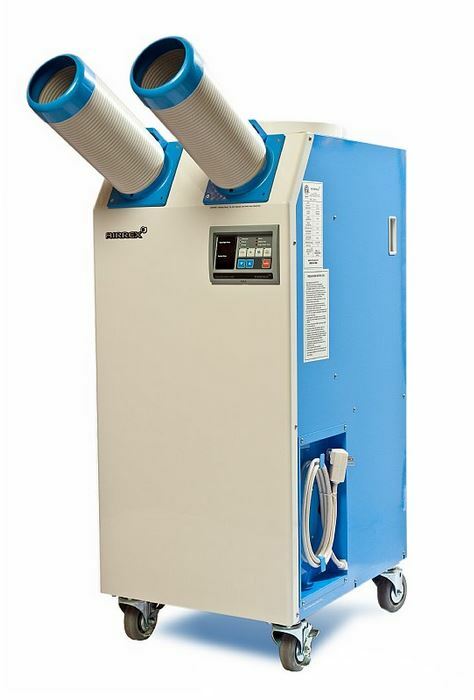 This used Airrex portable air conditioner came from a computer room customer and was used as a backup. They put in a backup air conditioner system and we purchased it back. Excellent conditioner. Includes a plug-n-play condensate pump. We have makeup or return air plenums for sale if needed. Call 1st Cooling at 817-491-0555 for a quote to buy this spot cooler. We have over 300 small electric room heaters for sale. Great for heating bedrooms or living rooms. Three different manufacturers. Each heater comes with a remote control. Call 1st Cooling at 817-491-0555 to buy one or a pallet of heaters.